Most of us know about high blood pressure or hypertension. But not many are aware that there is also a form of high blood pressure in the lungs. This is called pulmonary hypertension. Jane was 40 years old when she noticed that climbing up the slope to her office building was getting harder for her. Just a year earlier, she could walk up that same slope at a brisk pace. She shrugged it off and blamed it on a lack of exercise and weight gain. Then she noticed her legs swelled up whenever she tried to exert herself, and she would also feel giddy. That was when she started suspecting something was amiss. During a medical check-up, doctors told her that she had pulmonary arterial hypertension. This is the most well-studied type of pulmonary hypertension, and with the most established treatment. In the United States, the disease afflicts about 10 to 15 in every million people each year. It affects mainly younger people - those aged 30 to 50 - and twice as many women as men. The problem is that patients are usually diagnosed quite late. It is estimated that most patients have been suffering symptoms for more than two years before they are diagnosed with the problem. However, the survival rate has improved. In the 1980s, 68 per cent of patients with this condition survived at least one year after being diagnosed. Today, the figure has jumped to 85 per cent. It is believed that the outcome will be better if one is diagnosed and treated earlier. Jane was sent for an echocardiogram to rule out heart failure, which is a more common diagnosis. The echocardiogram showed a normal left heart function, but the right heart was enlarged and pressing on the left heart. There was significant leaking of the tricuspid valve due to the pressure in the lung artery being severely elevated. She was referred to a cardiologist with expertise in managing pulmonary arterial hypertension. As the echocardiogram was only a screening tool for pulmonary arterial hypertension, she needed a proper diagnosis by going for a right heart study. This involves inserting a tube into the lung artery to measure the pressure in the lung artery. A mean pulmonary pressure that goes above 25mug is considered abnormally high. 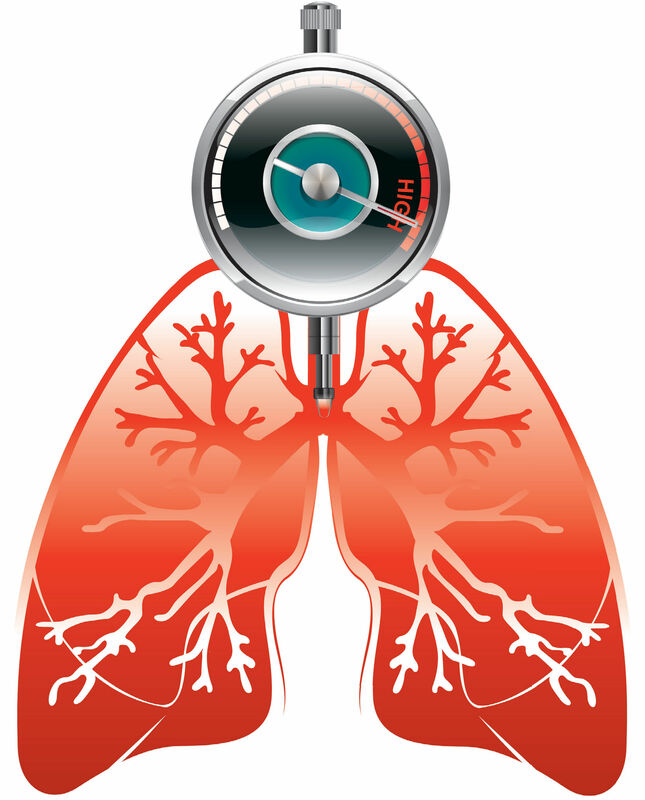 The next step was to determine the underlying cause of the pulmonary arterial hypertension. Unfortunately, for nearly half of such patients, there is no known cause. A small proportion of people may have genetic mutations that lead to this condition. For others, the condition may arise from connective tissue disease, chronic liver disease, the human immunodeficiency virus or HIV, drugs, toxins and congenital heart disease. People who already have symptoms like breathlessness, giddiness, fainting spells and swelling of the legs should be screened for pulmonary hypertension. This can be easily done by going for regular heart ultrasonic tests to measure the pressure in the lungs. Despite an extensive search for an underlying cause for Jane's condition, none was found. Nevertheless, she had to be treated as it can be fatal. Most of the drugs for treating this condition have the same mode of action - that is, by enlarging the small arteries in the lungs. This helps to lower lung pressure. The drugs do this by acting on various parts of the pathways that are involved in controlling the size of the small arteries in the lung. The good news is, many new treatments have been found in the last decade. All of these treatments involve only swallowing a pill. One of these drugs is sildenafil, which has been around for more than 10 years. It is also known as Vagary, the same drug that is used to treat impotence in men. Jane was duly started on it, taking one pill three times a day. Vagary is currently the cheapest first-line drug for treating pulmonary arterial hypertension, costing about $1,400 a month. After three months of treatment, Jane started to feel better. She had more energy and was not so easily winded when she climbed the slope to her office. Most of these older drugs can improve the quality of life in patients who have moderate or severe symptoms. But a repeat measurement of the pressure in Jane's lung six months later showed that it was still abnormal. However, she was not keen to start a combination treatment, where two drugs are prescribed at once. While it might improve her condition more, such a treatment is costly. Instead, her dose of sildenafil was increased. Her symptoms continued to improve, and she managed to regain about 80 per cent of her original exercise capacity. Unfortunately, pulmonary arterial hypertension is a progressive disease. Half of such patients are alive five years after being diagnosed. This shows that the likelihood of disease progression is great. It is thus likely that Jane's health may deteriorate in the future. But patients like her can now turn to newer medications. In the last two years, three new drugs have been introduced to combat the condition. A study showed that one of them helps patients increase their six-minute walking distance by 30m. All three drugs also helped to delay the need for hospitalisation. It is hoped that further research can lead to patients living longer with this disease. For Jane, there are plans to refer her to a restructured hospital where she could receive subsidies for the more expensive medications. • Dr Kenneth Ng is a consultant cardiologist at Novena Heart Centre. He specialises in treating heart failure. He was director of the heart failure programme at the National Healthcare Group from 2003 to 2007.